I was born in Cincinnati Ohio and studied at Xavier University for undergraduate and Rhode Island School of Design for graduate school. I wasn’t surrounding by art as a child. I grew up in a working class family and was first generation college student. Education, work ethic, and curiosity were however all valued. As the youngest in a large family with modest means we never traveled, and after working many years at the family’s laundry business the threat of a menial labor job terrified me as did the idea of living the proverbial unexamined life. My father, a World War II vet, was keen on all of us doing something with our minds. Like many teens in the industrial Midwest in the late 1970’s and early 80’s, there was a prevailing sense that much of what had built our cities and the existence and customs we inherited was already recently past. We fought boredom and overcame the doldrums of insanely repetitious work and general orthodoxy with acts of the imagination. 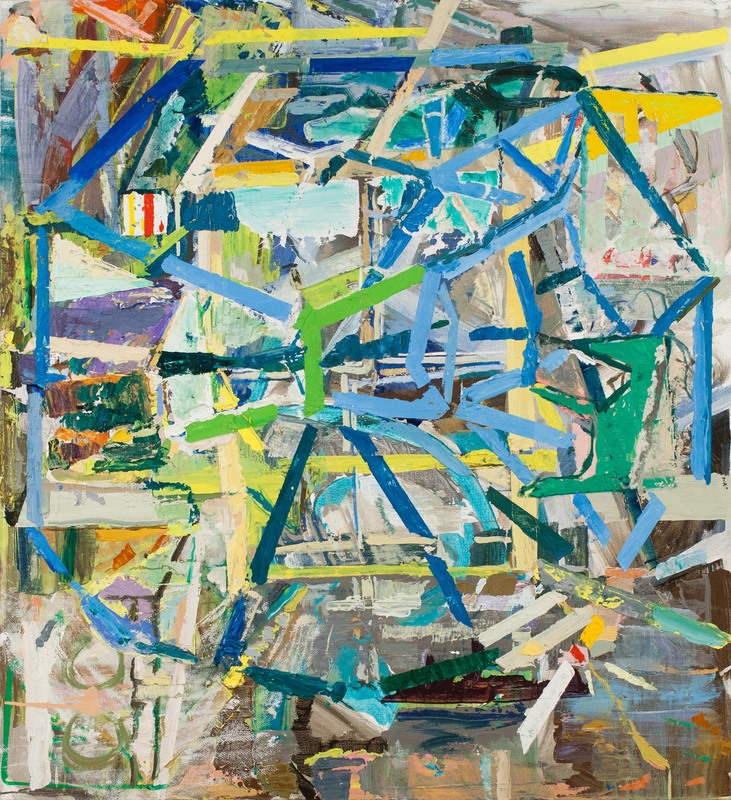 For me, art, the viewing and making of it, was the ultimate act of imaging something new in the world, of creating a new experience out of the remnants, fragments, and what de Kooning fabulously called the “slipping glimpses” that art gleaned from the material culture and historical moment. The question which emerged was-could one make a go at it and sustain these acts of the imagination over a lifetime? I remember reading Brancusi saying something to the effect that “making art was easy, the hard part was getting oneself in the right frame of mind to make it.” While this statement has a theosophical tone, which is a little too pure for my sensibility, it is crucial to approach the studio each day as well as the whole idea of the artistic activity with clarity. While art is my passion and profession, it is never therapy. It can be problem solving and of course, problem creating. These days the studio is filled with more looking and decisive action, rather than being an extroverted search with brush in hand, an approach that characterized much of my earlier working years. Certainly, part of painting is about setting up a series of controls so that discovery can happen. Improvisation is thus oriented and directed by the armature and imperative that certain source materials and material constraints provide. 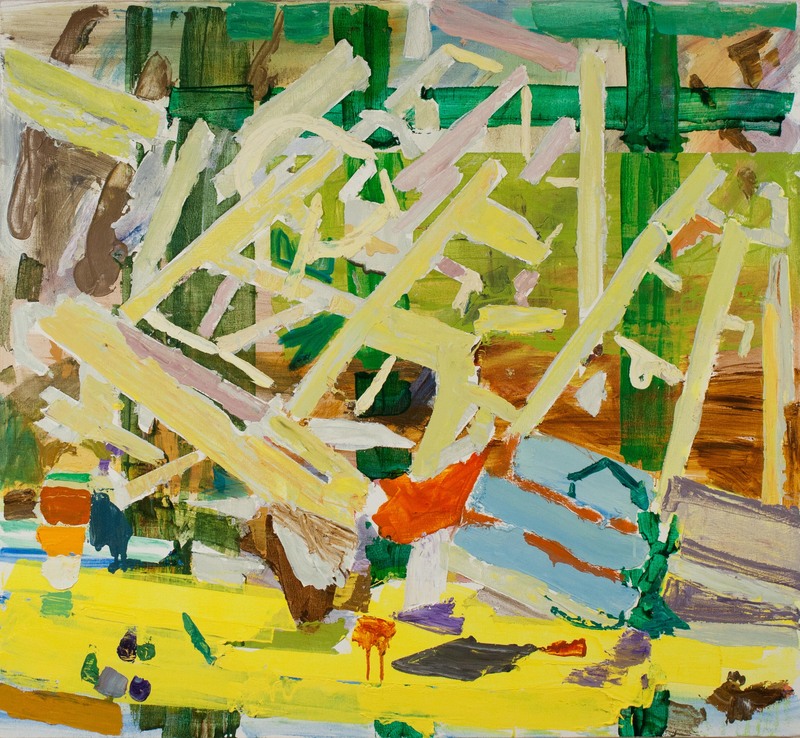 Ultimately, painting is a testing of possibilities, and a series of “what if “ propositions driven by a sense wonder. There are too many to really distill to one, as I have had the fortune to have studied with and taught alongside many amazing painters and minds. However, I often do recount the time James Rosenquist was in my studio when I was at RISD and he examined the logistics of my studio practice. He basically deconstructed and reverse engineered how my paintings came into being, examining very closely the logistics, material conditions, tools, source materials, etc.. that were at work in my studio. I frequently refer to this moment in my teaching as so much about the studio concerns aligning physical behavior with concept in intriguing ways. All artists who do anything really interesting teeter on the edge of not knowing. To be a studio artist is to embrace that condition or at least acknowledge that as a fundamental position. The studio is a grand experiment and rarely a place to confirm or depict what is already known-but rather it is a place to speculate and propagate new awareness, albeit from a base of knowledge, insight, or what we inherit. The most important thing is to collect and notate things of interest (work, experiences, images, and color etc..) and use this as a jumping off point. Then, one must understand how these things work their way through the filter that is painting. Depends on the hour. Is that too glib? For certain, over time I have gotten much better at undoing passages in my paintings and reconstituting fragments and remnants into something new. In fact that may be a defining characteristic of the way I work. Making something that can have a prevailing authority in the mind’s eye is exactly what interests me. That authority can be nuanced, nearly unperceivable, but nonetheless present. I trust if I feel the weight of something, others might as well. One must be authentic with oneself. That does not make a work good however. Irony is a widely used poetic and painterly device that may, at least on a surface level, appear to run contrary to authenticity, but it is ultimately another vehicle of communication. The trouble is when a device becomes predictable or formulaic either in one’s own studio or across culture. Clearly, we are in an age of irony. I am curious about the color in your paintings, and, maybe if it’s okay, I want to ask you about how you yourself respond to color. Are there any artists or works of art, movies, or just everyday experiences of color that are important to you one way or another? I can’t separate color from idea so let me go at this question in a slightly circuitous fashion. 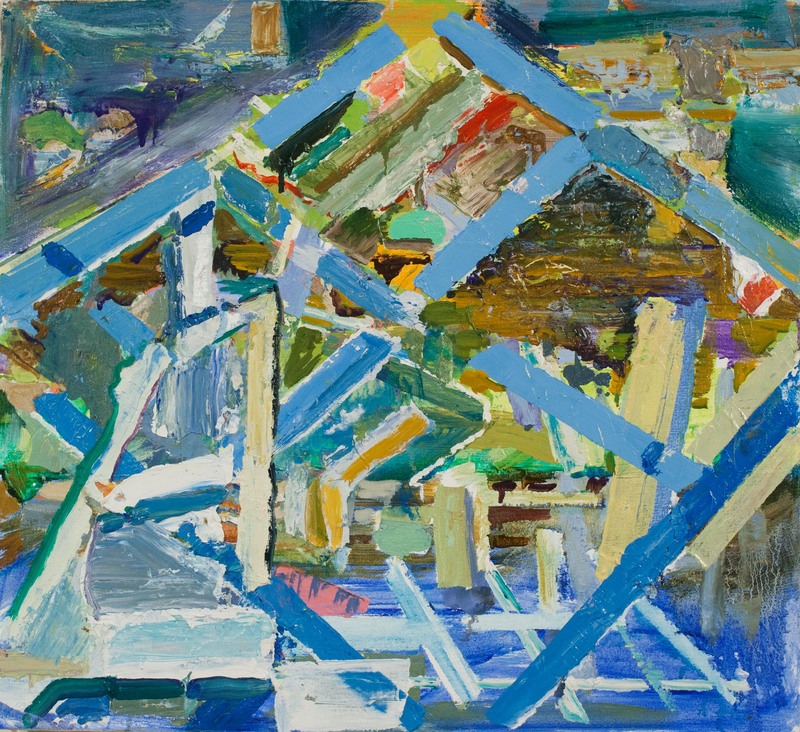 For this work, as a general approach, I referenced Mondrian, and mid century American painters like Charles Sheeler, Ralston Crawford, and others whose work promoted a faith in the future, and positioned the planned environment, the grid, and the towers of industry in an optimistic light. Examples of such modes of thinking are ubiquitous in the architecture, design, and planning. Part of my color scheme serves as a surrogate for those mid-century aspirations. That said, the idea of industry as a savior has also largely been replaced by a sense of industry as a polluter. Those ideas are in the work too however. So color also exits as fragmented and residual, mixed and diluted. I like how that reference moves against more pure color passages that infer a future oriented and untarnished existence and sensibility where one’s shoes stay clean. And then, I wonder how does color develop in your paintings? Do you have an idea about color from the start of a painting? Is there something you are looking for, when the color is just right? To recapture the studio process can be a bit like trying to retell a dream or untie a knot. That said, I often use elements like cardboard, color aid paper, and images I find off the Internet as prompts or triggers for painting but only very loosely so. Alternatively, such drawings and collages can be made in response to developments occurring in a painting. Other times, paintings generate other paintings. 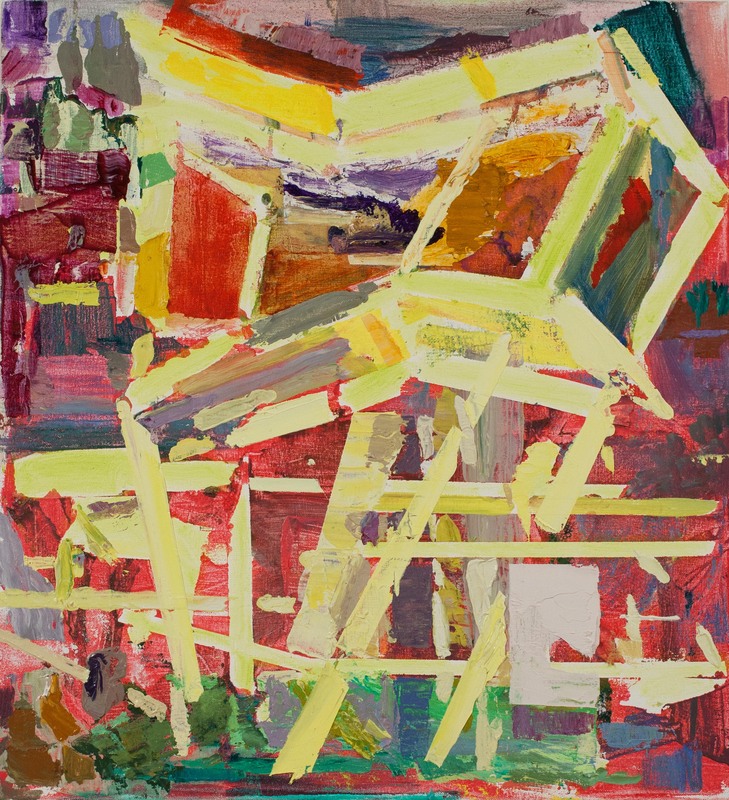 As I referenced earlier, in these works, I have been interested in pursuing how certain gestures and color understandings or remnants of process, play against more pure and undiluted color that evokes quite another sense. Such color set-ups work alongside other compelling material tensions I try to conjure up, including the play between fast and slow surfaces, sharp and diffused edges, and more declarative verses more suggestive passages. It is through getting such tensions to function in concert together that I feel some measure of rightness is achieved. I’m curious about the material qualities of your work, the thick paint, etc. Could you talk about that, maybe with an eye toward how that fits into a history of painting? I like many things and move across media and genres. Indeed there is much exciting work being made today. We are in a period of open sourced invention, rather than in a period of definition of artistic terms. It is indeed an exciting if not a bit solipsistic age. Many younger artists don’t feel the same imperative to problematize similar aspects of painting as did artists of a generation ago. 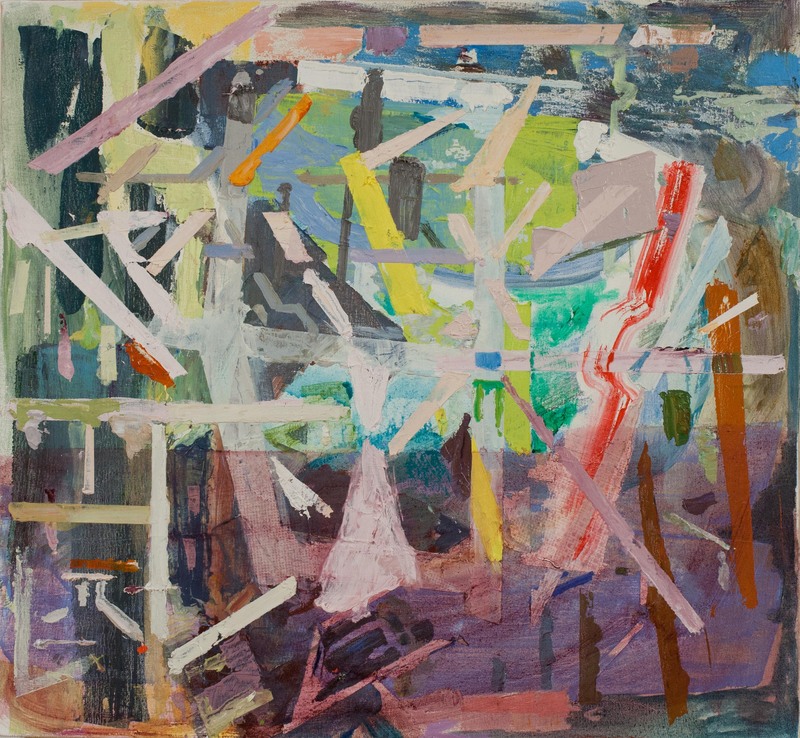 While I think any orthodoxy, or any unqualified acceptance or rejection of a genre or mode of working can blind us to the individual experience or an unexpected engagement, in my studio I have a special kinship with work that enacts meanings from its performative character, its making process, and its physical conditions or materiality. 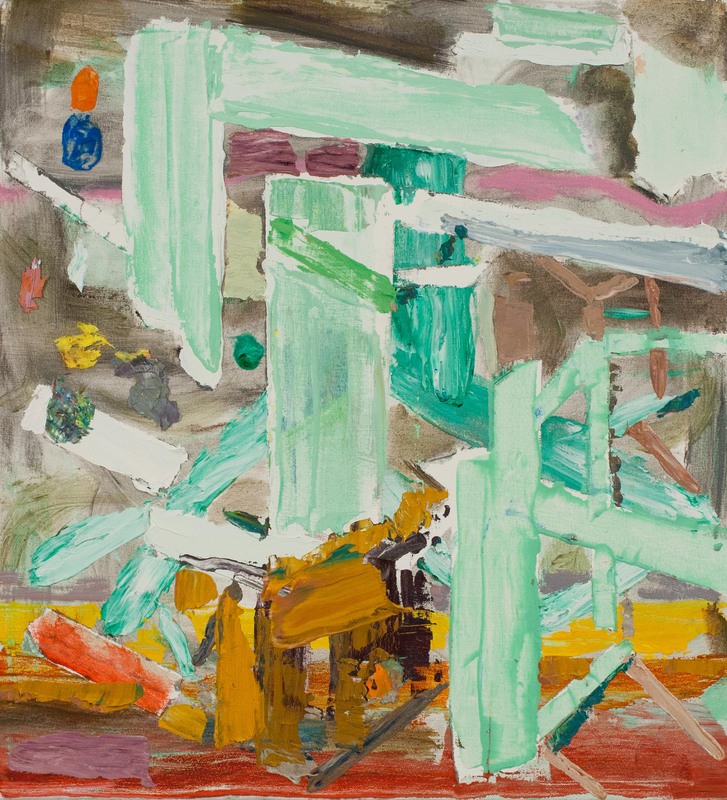 While largely cast aside for its histrionics and romantic sensibility, the open sourced processes that much abstract expressionist painting and early surrealism evidence is not without interest. Of course, one can’t simply drink it whole, but I do continually look to reconstitute some of the lessons in making and the references it contains. Though some painting operates as more of a transparent window, I find work that asks us to see in accordance with it, is often most intriguing, in that it requires translation and participation. It is at the nexus between abstraction and figuration where I find the most room for this to occur in my own studio. In short, I am largely interested in work that suggests meaning through the specificity of its visual conditions as well as through its depictive terms, as tentative or fragile as that representation may appear at times. Your recent artist statement mentions provisional models and makeshift networks as inspirations, could you elaborate on these two terms? Provisional models and makeshift networks are terms I use that allude to ways of understanding, behavior, or workarounds that move from established routes or are idiosyncratic adjustments to pre-established models or designed structures and systems. I think of how there may be a well-worn diagonal path across the grass where two sidewalks might meet at right angles or how one might deviate from the instructions in an assembly manual to address an individual situation. In many ways these are terms related to DIY aesthetics, as opposed to the manufactured and highly engineered work associated with pure industry. As a colleague of mine recently referenced, such concepts, run a straight line back to Claude Levi Strauss’s notion of the bricoleur. What are you looking lately? What are you listening to? What are you reading? We always ask artists about these three things–reading, listening, looking at. I wonder is there anything else we should be asking about that would talk more about your creative activity: What are you eating? Where’s the best place for coffee around there? Do you ever see deer in your yard? etc. etc.—-Is there anything else we ought to be asking you about? Let me answer these last two questions at once. In fact, I saw the first deer in my yard about three weeks ago. They are huge and elegant creatures. Speaking of presence, the large Oldenburg show at MOMA with its store pieces was incredible. It is a profound example of interiority meeting commerce and the subjectification of the object. That could make for an interesting discussion. Has the question ever been posed anywhere on this site: “What are you favorite quotes about creativity?” I’m sure I’m not the only one with an ongoing swipe file full of them.